How Can We Secure Smart Phones with VPN? 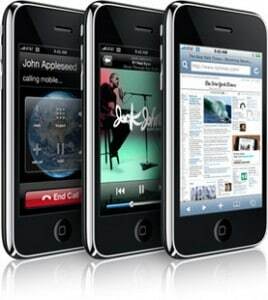 Smart phones are taking the place of mobile phones and laptops because of their size and capabilities. Because of this, many smart phone users are looking for ways to secure their Internet connection because every time they access the worldwide web to check their bank account balance or communicate with their friends or company, they general log on to an unsecured network. This allows anyone looking to intercept their traffic to easily see what you are doing or steal your identity. The best way to secure smart phones is finding the right smart phone VPN, or Virtual Private Network, service. By using a VPN, you can not only encrypt all your Internet traffic, but change your IP address and become anonymous. This prevents anyone from accessing the data your transmit over the worldwide web and can even make someone believe you are from somewhere else because you can pick the country you receive your IP address from through your smart phone VPN. Since smart phones are relatively new, many of the manufacturers have software that allows you to connect to a smart phone VPN service. It really depends on what type of smart phone you use, but many are similar in their set up. The first thing that you have to do is find a smart phone VPN and register with that service. The VPN provider sends you all the information you will need to secure smart phones and set up the smart phone VPN connection. After subscribing to a VPN service, you need to set up the connection on your smart phone. For example, on an iPhone smart phone, you need to go to Settings, then General, then Network and there you will click on VPN. It will bring up a menu of information that you have to insert, which is provided by your smart phone VPN provider. For an Android smart phone it is similar, but slightly different, but you can find set up procedures through our blog or through the smart phone VPN service. Not all VPN services are not good enough to really secure smart phones. In order to find the right smart phone VPN service, you are going to have to do a little research, which can take some time. This is the reason we have written this article. We want to make it easier for you to find the right smart phone VPN providers and the best ones to use. When looking for a smart phone VPN service, you need to look at the cost, the services offered, the bandwidth provided, the security protocols available and the ease of set up to your smart phone. Since we have done all of this already, you can be rest assured that the recommended smart phone VPN providers will work with any smart phone you own and secure smart phones so you can surf the web with confidence. What we did was assemble a group of smart phone users. Then connected to different smart phone VPN services. We used these different providers from all over the world and finally, came up with a list of the smart phone VPN services that provided the best quality. Here is the top 5 smart phone VPN services that we recommend.